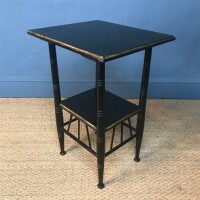 An Aesthetic Movement ebonised and parcel gilt 2 tier table c 1880 to a design by E W Godwin in excellent solid condition. 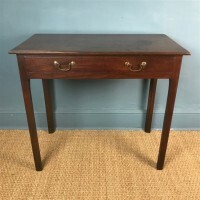 A George IV mahogany and ebonised console table circa 1825 with white marble top. 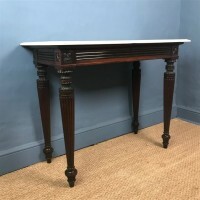 Read more: A George IV mahogany and ebonised console table circa 1825 with white marble top. A William and Mary walnut and ebony cabinet Chest of drawers circa 1690 . Anglo Dutch. 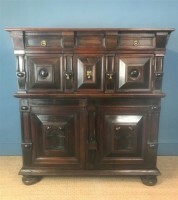 With a pair of frieze drawer with applied Mannerist geometric decoration and a pair of cupboard doors below on bun feet. 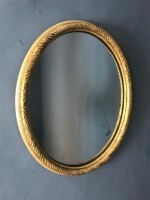 A small Regency water gilded oval mirror c 1810 with original mercury plate. 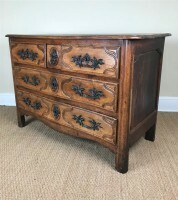 A Louis XV provincial walnut commode circa 1770 with two short and one hidden drawer above two long drawers with the original cast bronze rocaille handles and with a lovely warm untouched original colour and patination. We have our own van and can offer well priced deliveries to all parts of the UK including weekly deliveries to London and the Home Counties. 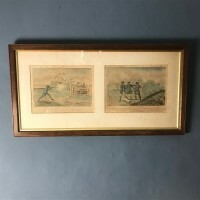 A set of 6 early 19th c Sporting Prints by Henry Alken many of a humorous nature all hand coloured and in lovely late 19th c oak frames with gilt slips . The subjects including hunting and shooting. 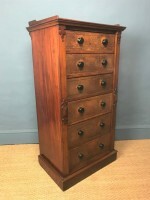 An unusual and fine quality Victorian mahogany and leather Wellington Chest circa 1860 with 7 long graduated drawers lined in the original tan leather with ebonised mahogany knob handles and a locking stile to the right hand side. 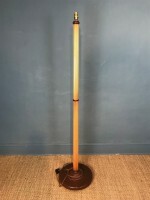 Read more: A Victorian brass and iron Fire Fender circa 1880 of good gauge and quality. 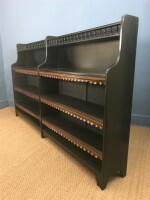 A long Aesthetic Movement ebonised open bookcase circa 1880 in the style of T E Collcutt with gilt leather dust covers below the 6 shelves. The bottom 4 adjustable. 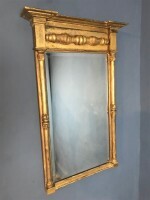 A William IV gilt pier mirror circa 1835 with bevelled mirror plate. 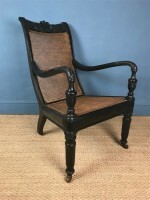 An Anglo Indian Ceylonese carved ebony bergere library chair. Read more: An Anglo Indian Ceylonese carved ebony bergere library chair. 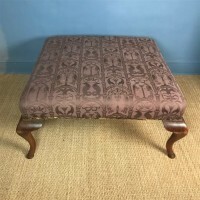 A very large 1920`s oak stool on cabriole legs with upholstered top. 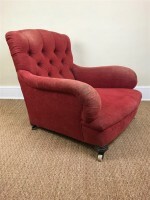 A large Howard and Sons Edwardian wing armchair circa 1910 recovered in Howard and Sons monogrammed ticking with soft down cushion and back . Fully stamped to the legs. Howard and Sons Berners St London. 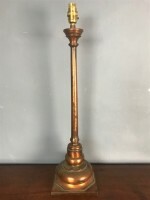 A large Victorian Country House burr oak and parcel gilt mirror circa 1870 with lovely original mercury plate. 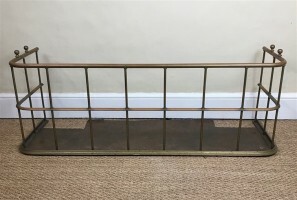 A George 111 gilt pier mirror circa 1800 in lovely original condition with water gilding and beautifully speckled silvered mercury plate. 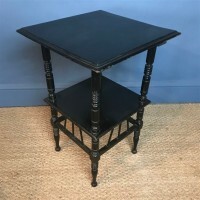 A fine quality Victorian satinwood and maple cross banded dressing chest circa 1870 attributed to Holland and Sons with white marble top and beautiful ash lined drawers . 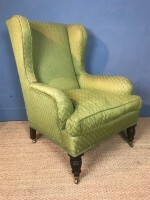 A large Victorian wing armchair circa 1890 covered in green in excellent solid condition.